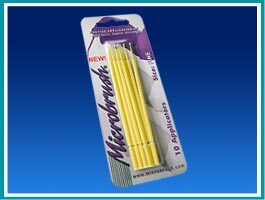 MICROBRUSH® applicators bend easily to any angle for the placement of small controlled amounts of material in areas of limited access. 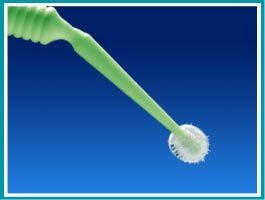 Material to be applied is held in suspension between the fibers creating a non-dripping sphere that retains the material until it is applied. 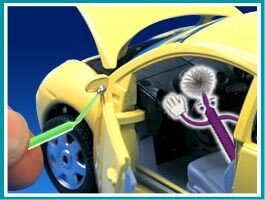 The applicator is also great for cleaning and removing material from confined spaces. 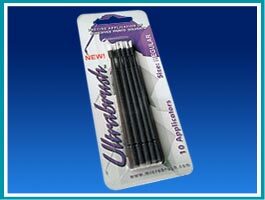 Ultrabrush® applicators bend easily to any angle for the placement of small controlled amounts of material. 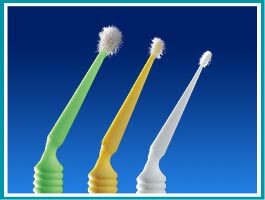 Bristle brush composed of non-absorbent fibers set in an optimum angle.